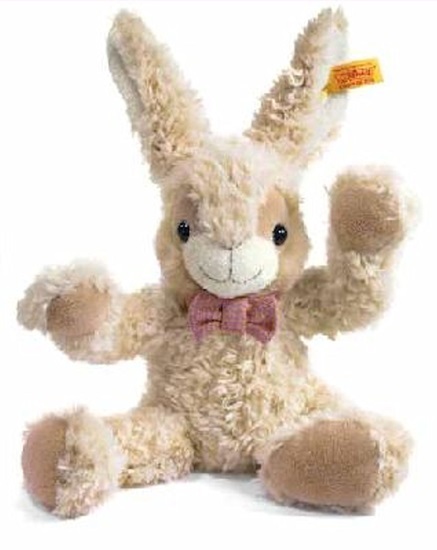 Manni Rabbit is a cuddly and soft plush piece made in Germany by Steiff just for kids. He measures 11 inches long, is cream colored with a white muzzle, and a purple and pink striped bow tie. Manni rabbit is machine washable and appropriate for children ages 4 and up.